Do you remember in the last edition of The Dish, I told you we were heading into one of our biggest meal delivery days of the year? 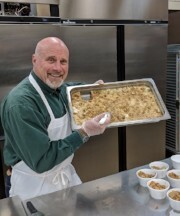 Well I believe we broke our own record and delivered 373 meals on Nov. 22! And we had 22 new clients start in November, with 7 more already starting so far in December. It is exciting times as we continue to deliver more and more meals to our neighbors who need them. Donations are already over $6,800! Join the excitement and support Meals On Wheels of Loveland and Berthoud. 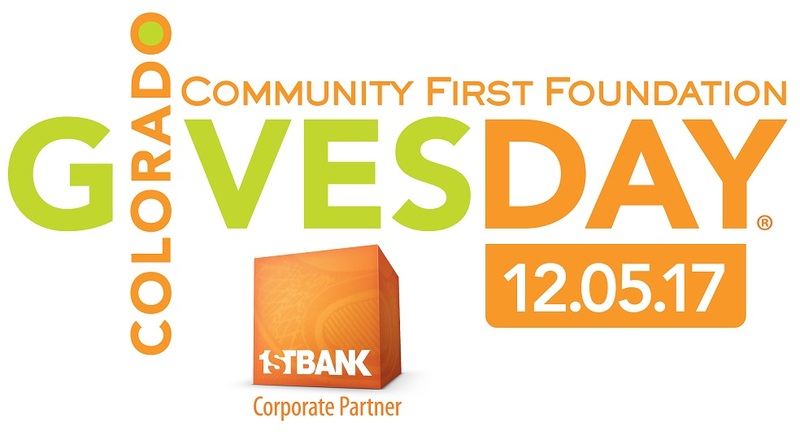 Today is Colorado Gives Day, one of the most exciting days in a Colorado nonprofit's year. his year our goal for Colorado Gives day is $22,360. That will fully fund a year of meals for 10 seniors! 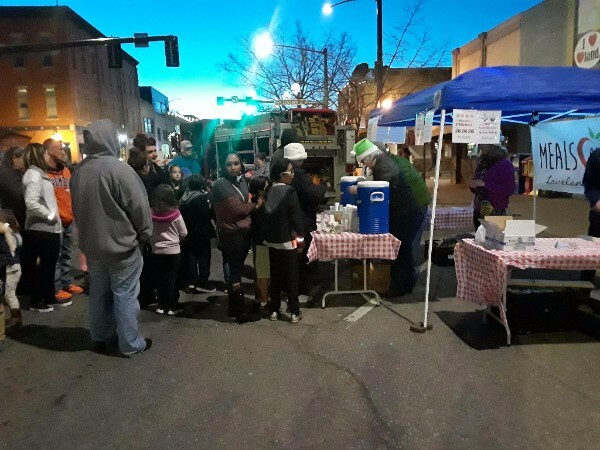 Last Wednesday we spent the evening at the Downtown Loveland Festival of Lights serving up some of the most delicious hot chocolate and s’mores on the front range. I hope you were able to get a cup. Even with all of our planning, we did not anticipate serving 500 cups in under 90 minutes! DEC 5 Colorado Gives Day - TODAY! Last week serving over 23 gallons of hot cocoa and 500 s'mores in 90 minutes was a ton of fun. I heard the rest of the Festival of Lights was just as fun, but we never left our booth! I suppose that is what the holidays are about, rushing around having fun giving. Because the holidays are always so busy, we have decided to postpone the volunteer Christmas party and instead move it to the end of January and start a new tradition of a Meals on Wheels of Loveland and Berthoud birthday party. You will see in the key dates section above we are planning on celebrating our 50th on January 30, 2018. We won't add yet another event to your already busy December calendar, but instead give you a fun celebration to look forward to in January. I hope you will be able to make it. Also, if you enjoy this newsletter why don't you forward it to a friend.